Setting aside all the joys of giving birth to a new life, there are many things that new mothers are concerned about, including their body. Every mother is faced with loose skin after delivery. The sagging skin can be emotionally frustrating for women who want their bodies to go back to their prepregnancy shape. Made of collagen and elastin, skin is the body’s largest organ and goes through a lot during pregnancy. Collagen provides firmness and strength to the skin, while elastin provides elasticity and helps your skin stay tight. As an expectant mother gains weight, the skin expands to make room for the increased growth in the abdomen. There many postpartum body problems that arise after delivery, including stretch marks, loose skin, sagging breasts and skin discoloration among others. Skin expansion during pregnancy is not sudden but takes place over a few months’ time. After delivery, the expanded skin typically retracts within several months. But for this to happen, you need to put in some effort. With some lifestyle changes and tips to improve your skin’s condition, you can easily get back your prepregnancy body and skin. 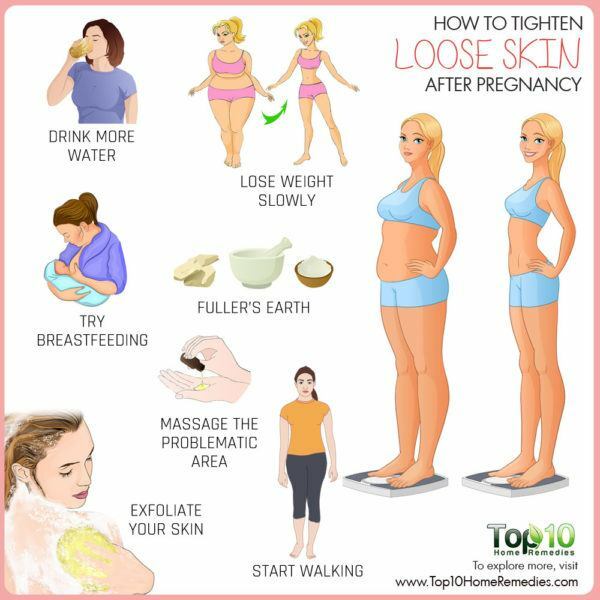 Here are the top 10 tips to tighten loose skin after pregnancy. Weight gain during pregnancy is one of the key reasons behind the loose and saggy skin around your abdomen post delivery. So, it makes sense that losing weight can help you get back your firm and well-toned skin. When it comes to weight loss, you must do it slowly and steady. Losing weight too fast can create even more loose skin than you had to begin with. 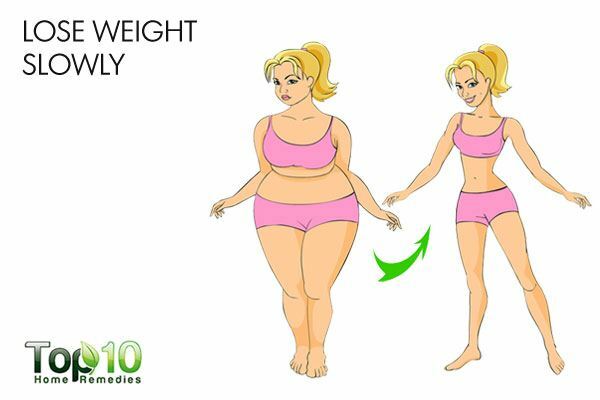 Quick weight loss also means you will lose both fat and muscle. Losing weight slowly will give your skin some time to adjust or tighten back up around the muscles. Focus on losing the extra fat and not muscle, as muscles help your stomach keep its shape. Aim for losing around 1 to 2 pounds per week. You can always consult your doctor regarding how you can lose weight slowly. For weight loss, exercise is very important. But with a newborn baby to take care of, finding time to go to a gym or do an intense workout at home may not be possible for many new mothers. Moreover, an intense workout is not good soon after delivery, as the body is still weak and needs time to recover. But, you can always take up walking to get back in shape. If you can do 30 minutes of brisk walking daily, you’ll burn about 150 more calories a day. Start with 20 minutes of walking, three to five days a week. Gradually increase the duration and pace of walking. You can even put your baby in a stroller and go for a walk. This will help build the bond between you and your baby, and the fresh air will be good for both of you. When you breastfeed your baby, the calories get converted into milk, which in turn helps you lose the extra pregnancy pounds gradually. 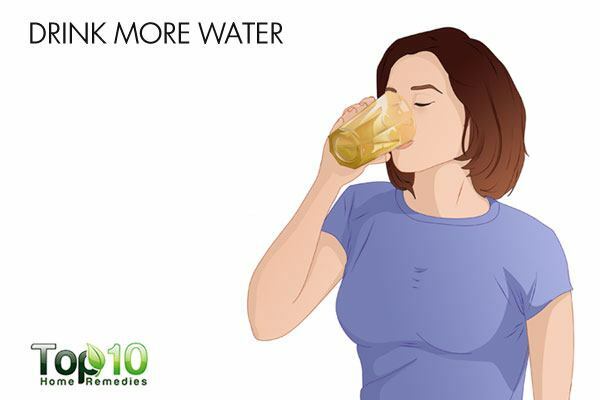 Without water, your skin will certainly not look its best. In fact, lack of hydration can make your skin dry, tight and flaky. Dry skin has less resilience and is more prone to wrinkling, which in turn can make your post-delivery loose skin even worse. Massaging the problematic area like the saggy abdomen can help tighten the skin. 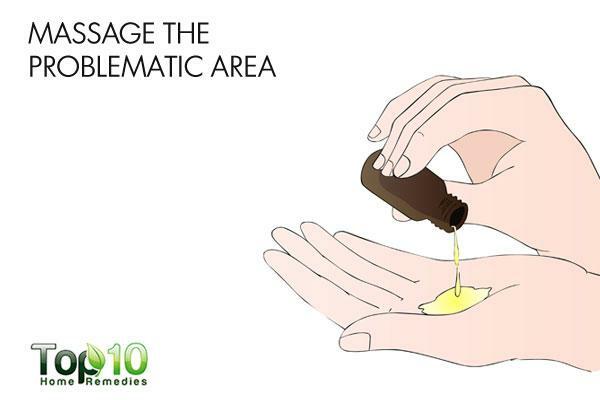 For massaging, try to use olive oil or coconut oil. Being a good source of antioxidants and fatty acids, coconut or olive oil can reverse skin damage caused by hormonal changes and increasing weight during pregnancy. Plus, it will help improve the skin tone and texture. Another excellent way to get firm and tight skin is exfoliating from time to time. Exfoliating plays a vital role in improving the flow of blood in the area. It also helps slough off dead skin cells and aids regeneration of new, healthy and more elastic skin. You can exfoliate your skin when you bathe by just using a loofah for a couple of minutes daily. Once a week, you can exfoliate the skin around your abdomen using a homemade sugar scrub. To make sugar scrub, combine 2 tablespoons of extra-virgin coconut oil and 1 teaspoon each of brown sugar and honey. Mix the ingredients thoroughly and use it as an exfoliating scrub. Certain nutrients like protein are important for the production of collagen and other components of healthy skin. In fact, the amino acids lysine and proline play a major role in collagen production. Your protein requirement depends on your weight as well as how much physical activity and strength training you do. But as a general rule of thumb, most women need about50 grams of protein a day. If you are more active, you may need more. 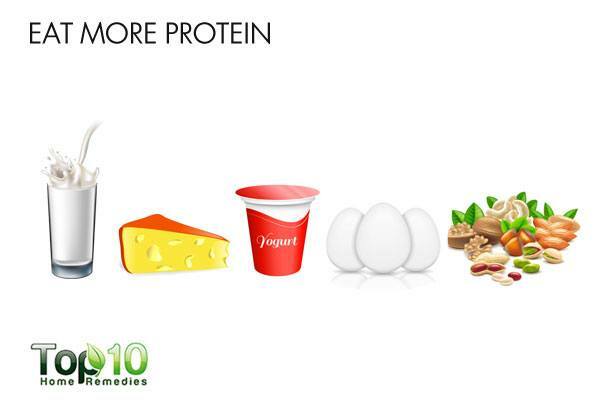 Some good sources of protein are milk, cheese, yogurt, eggs, beans, soy and legumes. 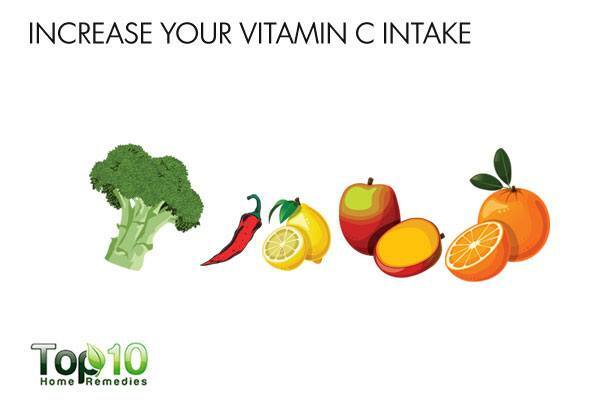 Eating more foods rich in vitamin C can help get rid of post-delivery loose skin and maintain your skin’s health. Vitamin C is a potent antioxidant that boosts production of collagen fibers that help keep your skin smooth and firm. It also improves elasticity and promotes the growth of new skin cells. Experts recommend that women consume 75 milligrams of vitamin C daily. In order to get vitamin C, include bell peppers, guava, broccoli, cabbage, potatoes, strawberries, cantaloupe, oranges, grapefruit, kiwi and papaya in your diet. 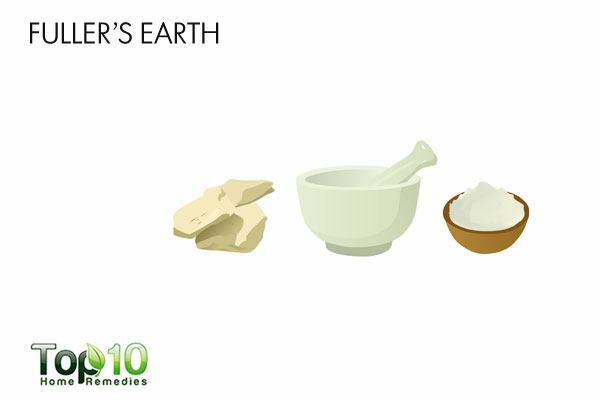 Fuller’s earth, also known as multani mitti, can be used as a body pack to tighten the skin around your abdomen. Use this pack 1 or 2 times a week. Once your body recovers from delivery and your doctor clears you to start exercising, try strength training. Strength training helps improve your overall muscle tone and will give you more lean muscle. More muscles means your body will burn more calories. It also improves your body composition (the percentage of lean muscle to body fat). A lean and toned body means your skin will look firm and tight. Always consult your doctor about any weight limitations before beginning a strength-training routine. Eat foods rich in omega-3 fatty acids to help increase skin elasticity. Eat healthy snacks, including dried or fresh fruit, low-fat yogurt, vegetable sticks and nuts. Stay away from junk food snacks. Avoid crash diets that can have a negative impact on your health. Wear sunscreen when you go outside. 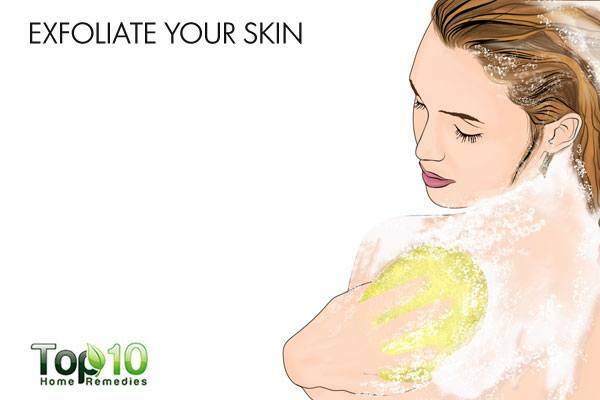 Avoid skin care products that contain sulfates, as it can dry out and irritate your skin. Avoid tanning beds. They do not help tighten loose skin, and they increase your risk of skin cancer. For the time being until you can lose weight, consider body shaping and support undergarments to give extra support to your abdomen and loose skin.